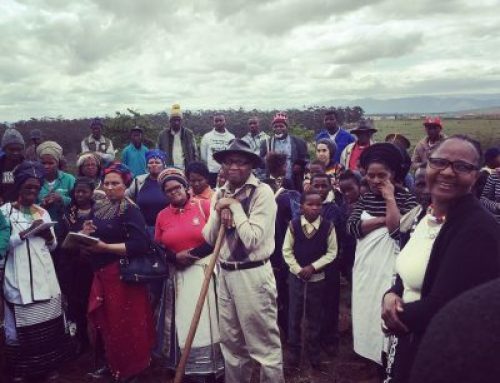 Smallholder farmers in the Amathole District of the Eastern Cape Province have demonstrated that it is possible to mobilise their cultural and traditional knowledge practices to make a living from the soil. 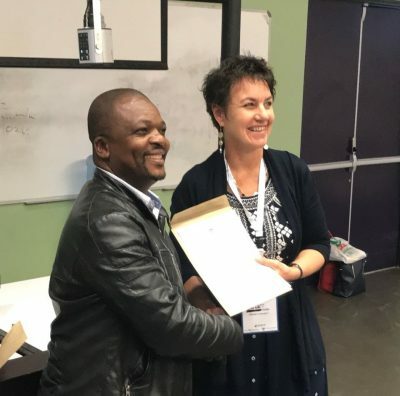 They have managed to do this through collaboration with agricultural and further education and training (FET) colleges, developing water for food production, and selling produce to niche markets. Young people are part of this success too, that has combined hard work, fun and belief in local heritage. It has not been an easy road, just like any other successful venture. Not so with so many national policies not in favour of independent food production by smallholder farmers. So how was it possible? The key to this success had key dimensions: determination, empathy, care, respect, trust and smart work (zenzele and ilima). 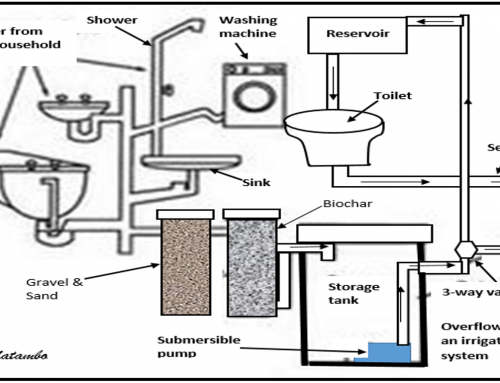 Despite a series of serious droughts affecting the province in general and this area in particular, smallholder farmers were determined to produce their own crops, at their own terms, by learning collectively with agricultural college lecturers and extension officers to harvest rainwater. Connected by the Imvotho Bubomi Learning Network, college lecturers empathised with the situation of smallholder farmers who farm with no access to irrigation but depend on erratic rainfall, and worked together with them and extension advisors to generate sustainable water-for-food solutions. 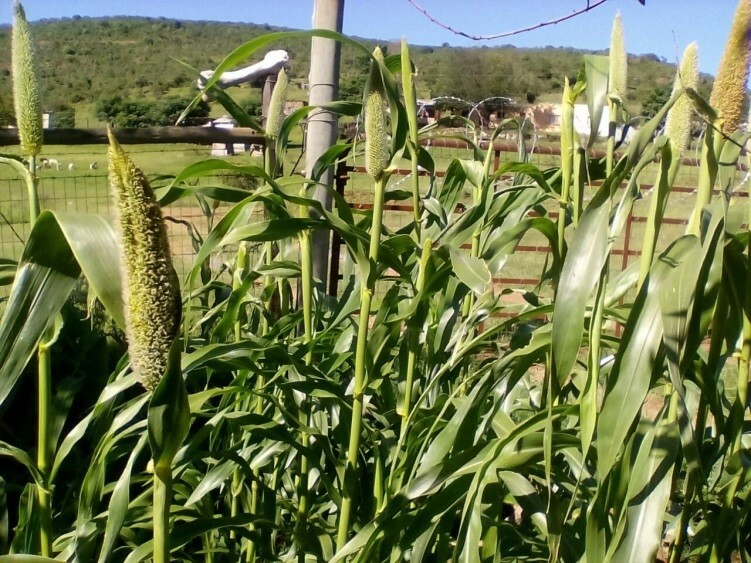 The farmers went a step further and planted locally adapted crops such as open pollinated varieties (OPV) of maize, sorghum (amazimba in isiXhosa) and pearl millet. In 2016 the farmers shared some OPV seed with two local colleges (one agricultural and one FET) hoping they would empathise and plant too. 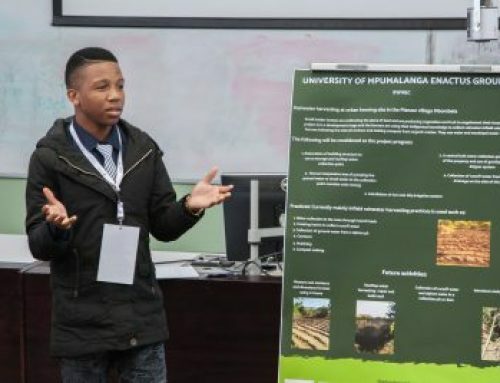 The picture on the left is white OPV maize- received through a partnership with NEDA and the University of Fort Hare. The picture above is of a pearl millet crop at the home of one of the farmer families homestead (Peter Family). Recently Fort Cox Agricultural Training Institute lecturers shared cow pea and traditional bean seeds with local farmers. All these grains are special because they can grow better than other varieties under scarce water conditions, they respond faster to rainwater harvesting and conservation practices, and they are packed with natural nutrients. One can make amazimba bread, so delicious and healthy! If you mix sorghum with beans you have a delicacy called qumatana in isiXhosa. 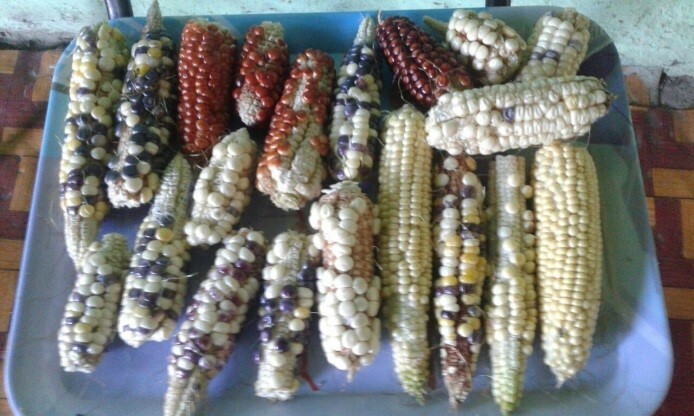 This knowledge is fast disappearing in many places but very soon in Amathole District smallholder farmers doing agroecology will be reviving these healthy gastronomic traditions. Yummy! This is made possible thanks to rainwater harvesting and conservation and the trust of sharing locally adapted seed under strict terms and conditions to ensure freedom from altered genetic contamination. 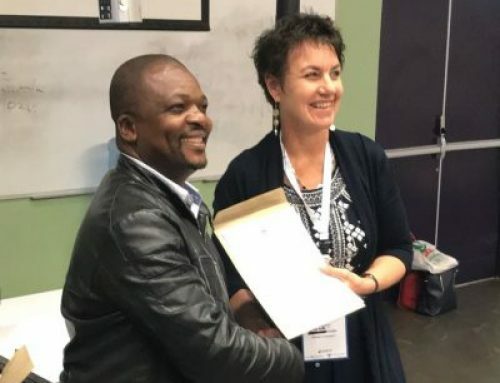 The farmers have respect for and pride in their local knowledge of small grain and open pollinated maize seed varieties, all of which are internationally recognised for climate adaptive and nutrient properties discussed above. Responding to national policies promoting GM seed the agroecology, farmers have declared that “no solutions for us, without us” akin to the proverbial “Nothing About Us Without Us!” (from the Latin: “Nihil de nobis, sine nobis“). By so doing they have not just verbally declared but lived the spirit of “Umuntu, ngumuntu ngabantu” (a person is a person because of other people) due to collective learning. 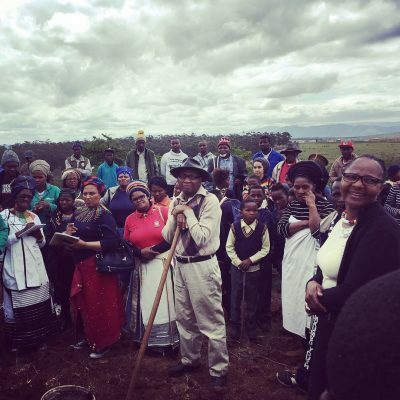 However, for effective collective learning to take place there are two other principles that this community of practice has employed in the Amathole District, namely zenzele (do it yourself without depending on others) and ilima (working collectively together in farming). Agroecology farmers have chosen not to depend on handouts of GM seed preferring the more adaptable traditional OPV seeds. 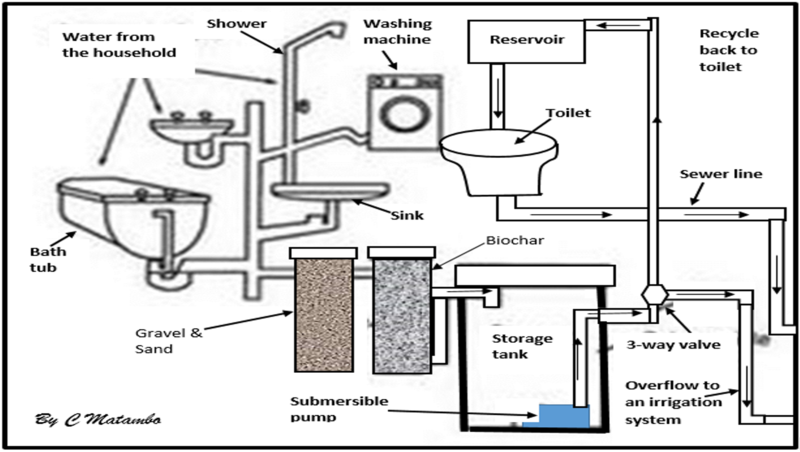 This requires a lot of discipline and self-reliance (zenzele). Through ilima farmers, college lecturers and extension advisors collaborated to support each other conceptually and by pooling their labour to ease the effort. 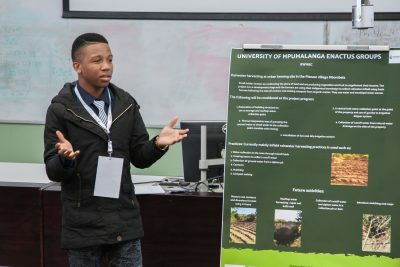 Experienced farmers also demonstrated much care by taking young people under their wings and mentoring them to develop agro-ecological farming and rainwater harvesting and conservation knowledge and skills. 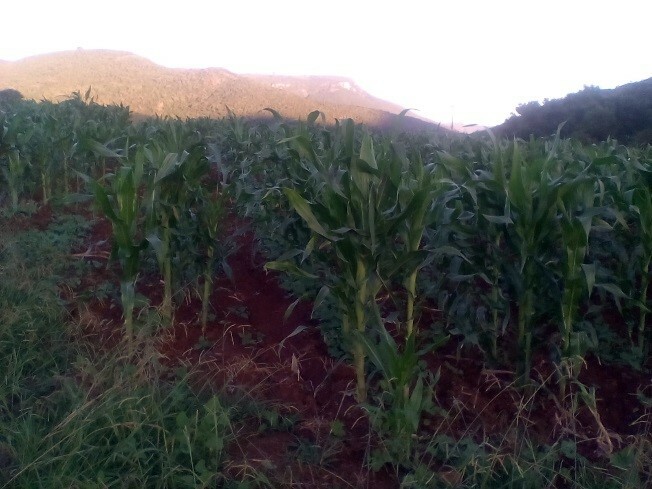 The photo on the left is of an OPV maize crop in the 2016/2017 season produced by a local youth group practising rainwater harvesting and conservation and mentored by Mrs Busisiwe Peter. The Imvotho Bubomi Learning network has combined science, culture and indigenous knowledge through collective learning across sectors and agricultural actors to support partners to intervene in their own modelling of water for food solutions over a three-year period. Positive results are already emerging, expanding and speaking for themselves through several voices. 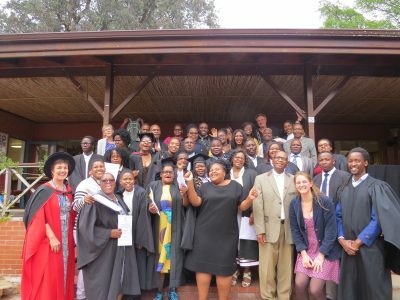 Inspired by smallholder farmers –Ilizwi Lamafama, Mrs Busisiwe Peter, ZAMBS Cooperative and others; agricultural college lecturers, officers at Raymond Mhlaba Local Economic Development Agency, Zingisa Educational Project, the Imvotho Bubomi Learning Network and the Amanzi for Food Programme (Water Research Commission and Rhodes University – Environmental Learning Research Centre).